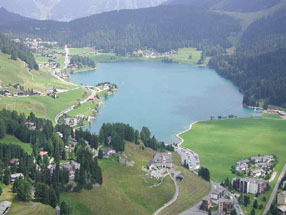 High in the Swiss Alps lies the small town of Davos. Its 13,000 inhabitants enjoy the fantastic skiing, the fine ales of Monstein Brewery (“last beerstop before heaven”), and the thrilling disaster potential housed in the Institut für Schnee und Lawinenforschung (Institute for Snow and Avalanche Research). Once every year, though, the mountain hamlet explodes with international schmoozapalooza as the World Economic Forum hosts its annual meeting. For five days, more than 1,400 of the world’s CEOs and business elites join with another 1,100 political and intellectual giants to network, exchange ideas and shape global policy. Oh, and also to take fondue-making classes. Don’t you feel like Nouriel Roubini does a mean raclette? The Davos meeting is organized by the World Economic Forum (WEF), an independent, Geneva-based not-for-profit “committed to improving the state of the world.” First established in 1971 by University of Geneva professor Klaus Schwab, the WEF began as a round-table where leaders of the European business world could discuss how to best compete with their American counterparts. The initial endeavor was such a success that the organizers decided on making it an annual event. Davos was chosen not because Professor Schwab was a huge Thomas Mann-iac (it’s the setting of Magic Mountain), but because the remote surroundings lent an air of privacy to the conference. Today, the WEF continues in its aims to shape global and industry strategies and improve “the state of the world.” My favorite question on the World Economic Forum’s FAQ page – “Is the World Economic Forum just a private club for the rich and powerful?” Answer? “Far from being a ‘rich man’s club,’ the World Economic Forum is a unique platform for progress on some of the most difficult problems facing the world today.” Phew. Rest easy, all you conspiracy theorists exposing little-known but all-powerful cabals from your moms’ basements. Rest easy. Corporate attendees pay high prices to attend – an annual membership to the WEF costs over $35,000, plus another $15,500 or so for each person sent, not including accomodation. For this bargain basement outlay, participants can go to the more than 200 official sessions. The official program lists workshop titles that you might expect like “Update 2009: The New Boundaries of Financial Governance” and “The Future of Development Assistance,” but also on the roster are discussions like “Political Art: What Now?” and the ever popular “Leadership Lessons from Shakespeare’s ‘As You Like It'” and the sequel – “Leadership Lessons from Shakespeare’s ‘Macbeth’.” Lesson One: Don’t be fooled by witches’ prophecies. If only they’d held that one before the global economic downturn, we might have been able to turn this thing around.